EveryLayer is on a mission to connect the world to fast internet. They’re looking to fix a problem in that large regions of rural Africa and Asia essentially skipped the fixed-line era of telecommunications, going straight to mobile. While this has enabled a host of cellular benefits, the infrastructure is still lacking for fast wired internet access. Getting fibre out to rural areas is traditionally the job of Internet Service Providers (ISPs) and companies such as Google. Meeting demand is vital, as access to the internet is one of the most important and powerful forces empowering communities today. Global penetration of broadband is, however, limited to only 6%, with connection costs many times higher than in the UK or US. EveryLayer is solving the last-mile problem. Acting as technology consultants and service provider, the company negotiates with ISPs and equipment manufacturers to make the fastest, best and cheapest broadband connections possible. They manage this by marrying growing optical fibre availability with low-cost, telecom-grade WiFi, and bring costs down through bulk orders and deliveries. Their aim is to provide broadband access to everyone for $5 (£3.20) a month. The first EveryLayer customer has now launched broadband services, offering their Ugandan SMEs internet access at 50% of the cost of other service providers. EveryLayer is looking to build on this success and expand fast – deploying new networks with affordable connections and high-quality customer service. EveryLayer is a team that grew in Silicon Valley, with over seven years’ experience building low-cost broadband networks in more than 10 countries. They’re looking for partnerships in underserved regions to deliver fast, reliable internet access. If you have an idea, or want to learn more, take a look at the company website. 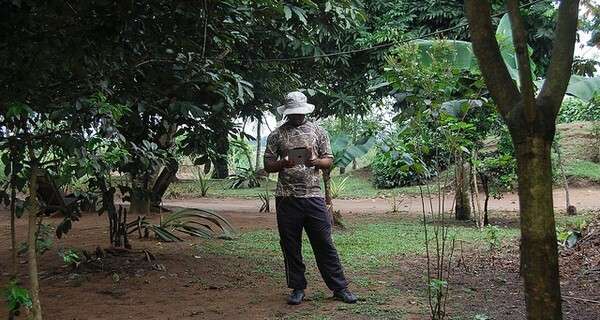 Image 'Browsing on the iPad' courtesy of Colette Ngo Ndjom.